Whilst very early days and not a lot of content yet it strikes me as a fair effort to find one route to engage. How diligent the Ministers will be in recording their conversations and the issues raised will be interesting to note. Listening to Students is the Department for Innovation, Universities and Skills’ new blog for students. It will give students, and those with an interest in the student experience, an opportunity to read and see what students are saying to Ministers at these university visits. Let’s see if it takes off. The world is evolving very quickly and we must be able to unlock British talent and support economic growth through innovation as never before. We need to decide what a world-class HE system of the future should look like, what it should seek to achieve, and establish the current barriers to its development. As I have said previously, I want to do this before we initiate the review of undergraduate fees next year. As part of this process I am inviting a number of individuals and organisations to make contributions. Not to write government policy but to help inform it and – equally important – to stimulate debate and discussion in the sector. These contributions have been delivered to the Secretary of State and are now available. Interestingly there is also a blog on the future of higher education intended to facilitate discussion on each of the themes. It is early days yet (very few comments at time of writing) but a commendable approach from DIUS to engage the community. The contributions can be found here. According to the Times Higher Education analysis of the latest NSS data, students are more satisfied than they’ve ever been. I’m sure students at Buckingham have a distinctive experience but the reasons for this result are perhaps a bit more complicated than suggested here. Still, the NSS does at least provide much-needed fodder (or core data on the quality of the student experience) for the league table compilers. According to a recent story in The Times it is “Last orders for boozy freshers”. 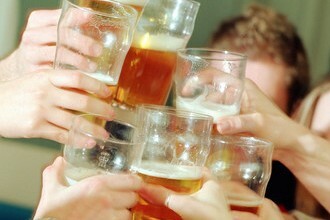 THE days of new students being initiated into binge drinking at universities may be numbered. The government is considering plans to clamp down on “freshers’ weeks”, where students are encouraged to consume vast quantities of cheap alcohol. The prime minister and his policy team have been impressed by experts at a Downing Street seminar who deplored the scale of drunkenness at university. Professor Oliver James, a liver disease specialist and head of the medical faculty at Newcastle University, told Gordon Brown that he was “appalled” by the quantity of drinking during freshers’ week at his university. There are all sorts of excellent reasons for agreeing with all of this and seeking to change the rationale of freshers’ week from being a training course in excessive drinking to one which is primarily focused on easing the transition to university life and starting the induction and orientation process to help students to get the most out of their higher education. However, it is genuinely difficult to see how this can be driven by government (other than in a general way by imposing substantial rises in duty on alcohol). But, things do have to change and it is, I think, good that government is at least aware of the issue and supportive of change. Two Ministries better than one? Mike Baker on the BBC website comments on the possibilities for a “messy divorce” following the break up of the DfES. All seems harmonious so far though, apart from a bit of confusion in the post-16 area. Mike Shattock, writing in The Higher (13 July 2007, no URL for non-subscribers so you’ll have to buy it) makes a number of interesting observations. He notes with concern the prospects for greater interference in HE whereas others seem to be applauding a Ministry with the word “universities” in the title. His line, with which I have to say I have a great deal of sympathy, is that government should let universities get on with it rather than intervening actively in each of the areas of responsibilty outlined for DIUS (above). So, which way will the new Department go? More students from poorer families in England and Northern Ireland are to receive full grants for university, the government has said. Students whose families earn less than £25,000 a year will get a full grant – up from the present level of £18,000. Students in families earning up to £50,000 a year will now get some help. But it is not clear that this will be funded from commercial interest rates. And couldn’t much more be done with this money (Guardian suggested £1.2bn but this is likely to cost only one third of that amount)? The head of the newly formed Department for Innovation, Universities and Skills, John Denham, is set to make a big announcement on student support to the House of Commons today. The new minister’s statement is expected to be about raising the interest rate paid on student loans to more commercial levels. Earlier this year, Nicholas Barr, professor of public economics at the London School of Economics, and the architect of tuition fees, said the interest subsidy on student loans should be scrapped. It costs the government around £1.2bn a year, which could be better spent on widening participation. If true, it will be interesting to see how the additional income is channelled into new WP spend.